Plenty of day trips are possible from Dublin, with many surrounding attractions tempting tourists outside of the city. Always popular are excursions to the National Botanic Garden, a 49-acre / 20-hectare site containing over 20,000 different plant species and countless other varieties, as well as a modern visitor centre with related exhibits and a popular restaurant. Many further horticultural attractions are based close to Dublin, such as the beautiful Talbot Botanic Gardens at Malahide Castle. Families will enjoy spending time at the National Sea Life Centre at Bray, or perhaps visiting the National Transport Museum at Howth, while the Powerscourt estate, the Irish National Stud and ancient Ardgillan Castle may also appeal. For those without transport, coach trips around County Wicklow come recommended. These splendid gardens are situated on the northern side of Dublin, close to Addison Park, and are home to Ireland's foremost centre of botany and horticulture. 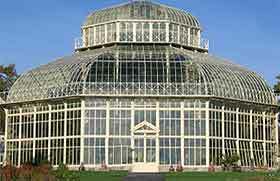 There is a large beautiful cast-iron Palm House and many other attractive greenhouse features, all built between 1843 and 1869 by Richard Turner, who was also responsible for the famous Palm House construction at London's Kew Gardens. There are many attractive features, including a colourful display of Victorian carpet bedding, a renowned rose garden, a rich collection of cacti, countless orchids and some spectacular tropical giant water lilies. Some trees date back to the 18th century and there is an old giant redwood measuring in at over 30 metres / 100 feet. Dating from the 12th century, this very beautiful castle was occupied by the Anglo-Irish and aristocratic Talbot family from 1185 until 1976. Malahide Castle is a combination of styles and periods, and is surrounded by a vast expanse of parkland and gardens, including a botanical garden filled with over 5,000 different varieties of plants. Features include a National Portrait Gallery with paintings of the Talbot family and other historic figures, a medieval great hall, which is the only one in the whole of Ireland preserved in its original form, and the Fry Model Railway Museum, housing an extensive collection of rare models of the Irish railway. There is also an excellent self-service restaurant. The castle is situated 10 km / 6 miles north of Howth and can easily be reached by either bus, train or car. These beautiful gardens, situated in the grounds of Malahide Castle, remain largely in the same structure as they were when originally created from 1948 to 1973 by Lord Milo Talbot, although they have matured well. They cover an area of over 20 acres / 8 hectares of landscaped shrubbery and walled gardens. There is a strong emphasis on the cultivation of plants from the Southern Hemisphere and many of these species and varieties were actually collected by Lord Talbot himself. The collection is constantly expanding, with the addition of new species and varieties. A seed exchange has been resumed and many additional semi-tender species have been planted as a result. Further improvements are being assisted by the Great Gardens of Ireland Restoration Programme. The Talbot Botanic Gardens are located just 8 miles / 13 km to the north-east of Dublin and facilities include teas, toilets, wheelchair access and guided tours of the walled gardens on Wednesday afternoons at 14:00. Ardgillan Castle was built in 1738 and is situated in around 200 acres / 80 hectares of scenic parkland known as the Ardgillan Demesne. There are superb views of nearby Barnageera Beach and the Northern Dublin coastline (roughly 21 miles / 34 km to the south), as well as a beautiful rose garden, yew walk, ice house and Victorian conservatory, and there are even rumours of a ghost haunting the bridge. 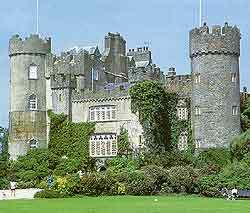 The castle has been owned by Fingal County Council since the early 1980s and can be easily reached by bus. Situated south of Dublin, County Wicklow is often referred to as the Garden of Ireland. A day trip from Dublin is highly recommended and there are various coach tours that do both half- and full-day trips. Set in County Wicklow and next to the village of Enniskerry, the Powerscourt estate is well worth a trip, being located just under 25 miles / 40 km to the south of Dublin. There are 47 acres / 19 hectares of themed landscaped gardens, which include many stunning Italian and Japanese features. The house has an excellent Terrace Café and also several craft shops, while the spectacular Powerscourt Waterfall is also nearby. A recent addition to the onsite attractions is the Tara's Palace Museum of Childhood, which arrived in 2011 and boasts a truly breathtaking giant dolls house. If you are not travelling by car, a bus tour around Wicklow is another option, although you probably won't get to spend much more than an hour exploring Powerscourt. Kildare town is approximately a 45-minute journey from Dublin and has two main attractions, the Irish National Stud and its Japanese Gardens. Also, nearby St. Fiachra's Garden was opened in 1999. Situated at Tully Farm, the Irish National Stud has been breeding thoroughbreds since 1900. Featuring approximately 300 boxes on the land, the stud supplies high-class stallions to the Irish bloodstock industry. Nearby and also of interest are the well-preserved ruins of Black Abbey, built in 1212. Created in 1906, the enchanting Japanese Gardens are acknowledged as the finest Japanese-style gardens in Europe and are home to many rare plants. An underground stone passage transports you into the new St. Fiachra's Commemorative Garden. St. Fiachra was born in 590 AD and is the patron saint of gardeners. This garden features an unusual stone hermitage encompassed by water and an inner rockery, with handcrafted Waterford Crystal pieces. This is the largest and most historic Neolithic tomb in Europe, built some 5,000 years ago and located on the northern side of the Boyne River. Now a famous World Heritage Site, the restored monument was designed to allow the sun's rays to reach the central chamber at dawn on December 21st - the Winter Solstice. Similar tombs are located nearby in both Knowth and Dowth. Newgrange resides within County Meath and can easily be reached either by train, bus or car, being around one hour's drive to the north of Dublin. Half-day coach tours include outings to Boyne Valley and Newgrange, Malahide Castle in North Dublin, Glendalough in Wicklow, Enniskerry and Powerscourt, the South Coast and Avoca Handweavers. Full day tours include Ballykissangel, Glendalough, Powerscourt and also trips to the scenic Wicklow mountains. The National Sea Life Centre at Bray is located roughly 30 minutes to the south-east of Dublin and directly south of Dun Laoghaire, where it is situated on the seafront promenade (Strand Road). Home to over 30 displays of underwater wildlife, such as Nemo's Kingdom and the Shark Lagoon, the centre also boasts an interactive rock pool experience, seahorses, stingrays, jellyfish, red-bellied piranhas and regular feeding demonstrations. Many visitors find that they have seen all of the main attractions in under an hour, making the ticket prices a little expensive. However, some supermarkets do hand out two for one vouchers, and booking up online in advance does offer hefty discounts, making Sea Life Bray all the more affordable. Those arriving by train will find the Bray railway station just a five-minute walk away, while buses also stop nearby, on the Main Street. Located within the easterly suburb of Howth, the National Transport Museum is devoted to the preservation of Irish transport heritage and is run by volunteers. Now operated as a registered charity, the museum began its life in 1949, when it managed to save three old trams that once operated in Dublin city. In total there are now more than 100 vehicles (passenger, commercial, military and utility) within the collection, the oldest of which date from the 1880s. 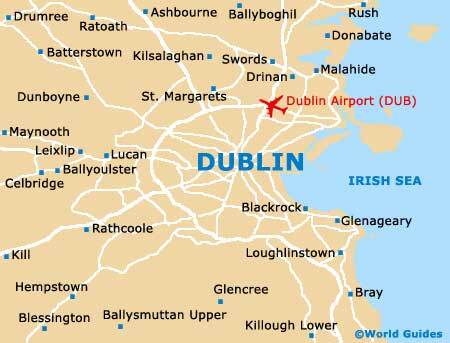 Of note, the nearest DART train station is Howth.